From fake IRS phone calls to W-2 phishing. Here's what you need to know about the different types of IRS scams and how to protect yourself. Scams in which con artists impersonate IRS personnel by phone, email or letter either to get money or to steal personally identifying information (PII) have become so widespread that they've affected how the IRS works, delaying legitimate refunds to many taxpayers. With tax season upon us, we figured it's a good time to revisit this important issue. We'll discuss the various types of scams in a moment, but we want to put this up front: the IRS will never contact you unsolicited by telephone, email or social media, and if you get a message via those routes claiming to be from the IRS, it is a scam, and you should never supply people contacting you this way with your social security number or any passwords or PINs. The IRS does contact people via surface mail, but the correspondence it sends will be in a number of pre-defined formats, so you can easily tell if a letter is real or not. If you have any questions about a message that claims to be from the IRS, contact them directly via the numbers or addresses listed on the agency's website; do not reply to the message directly, as that may just pull you into correspondence with a scam artist. With that out of the way, let's take a look at the different types of scams out there. Phone calls to individuals telling them they owe back taxes and threatening arrest if payment isn't immediately received. Scam letters sent via surface or "snail mail"
Perhaps the most dramatic form of IRS scam comes by phone. The victim gets a recorded call — often with poor sound quality, and with the person on the line clearly not a native English speaker — informing them that they're receiving a "final notice" from the IRS for payment that's past due. If you call them back at the number they leave, you'll be connected with someone who will threaten you with arrest if they don't receive immediate payment. CSO writer Steve Ragan did something you should never do — call back one of these scammers — and wrote about his experience. He also recorded the call, which is worth a listen. One point of interest is that the scammers aren't just dialing numbers at random: they had gathered some information about Ragan, including a mailing address, although the one they had for him wasn't current. One strange wrinkle on this scam: often the con artists will request payment not via money order or credit card, but by iTunes gift cards, which can serve as a sort of untraceable pseudocurrency. In March of 2017, while discussing the attempted swindling of Keylla Coldiron of San Jose, a Treasury Department spokesperson said that upwards of 70 percent of victims were asked to pay this way. How to protect yourself: Remember, the IRS does not call taxpayers by phone out of the blue, will never threaten you with arrest, and does not accept unusual forms of payment like iTunes gift cards. Note that the scammers who contacted both Ragan and Coldiron knew some personal information about them already. Your mailing address and employment history may be easy to find online, and just because someone on the phone has that information doesn't necessarily mean they're from the government. Speaking of fighting these scam artists: in June of 2017, a white hat hacker wrote code to auto-dial these scammers and attempt to block the phone access they need to defraud their victims. While we cannot endorse this form of vigilantism, we imagine it must've been satisfying to pull this off. Scam phone calls threaten victims with arrest or government reprisal. Phishing emails, on the other hand, offer a generous tax return. In this sense, these emails are like many phishing scams: they promise something too good to be true, using the victim's greed to entrap them. A common version of this scam involves an email that purports to be from the Taxpayer Advocate Service, which is a real division of the IRS that assists taxpayers with disputes or problems they have involving their taxes. The emails request PIN numbers, passwords and bank account information, ostensibly to allow the IRS to send the victim a big refund. Instead, the scammers use the information to drain the victim's account. How to protect yourself: Remember, the IRS will never request this kind of information via an unsolicited email. If you don't have an active case with the Taxpayer Advocate Service, you won't be contacted out of the blue by them, so you should consider any such email a phishing attempt. If you do have an ongoing correspondence with the Taxpayer Advocate Service but you're confused by the nature of an email you receive, don't reply to it; instead, contact them directly by calling 1-877-777-4778. And, of course, you should never send financial information of any kind in response to an unsolicited email. In some ways, this is the scariest type of IRS scam, since safety isn't necessarily under the control of the victims. It's a form of business email compromise (BEC), in which the attackers manage to take control of or spoof the email address of an important person within a company, and then use that person's authority to gain access to sensitive information from other people within the organization. 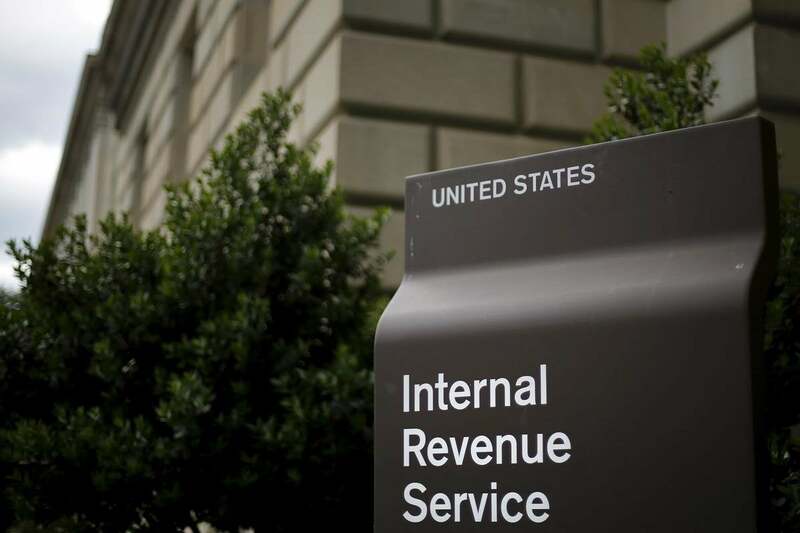 In the IRS-focused version of this scam, the attacker will masquerade as an executive in the personnel or human resources division of the company and email a lower-level worker in those departments requesting copies of employee W-2 forms. The information on those forms can be used for nefarious and lucrative purposes; for instance, the scammers can use the data to file fake tax returns in the victim's name and scoop up the refund to which the victim is entitled. They can also use the data to seek financial aid for college — a scam that became so common in early 2017 that the U.S. Department of Education shut down a tool meant to help people apply for aid because it was being abused. If scammers try either of these moves, they may not only defraud the U.S. government, but delay or block refunds and financial aid to which the victims are entitled. How to protect yourself: Unfortunately, you need help with this one. If you're not already working in your company's IT security department, you should make sure they and anyone who has access to employee records are aware of this scam. And, of course, don't share your W-2 with anyone except your tax preparer. If the IRS does want to initiate a correspondence with you, it will generally do so the old-fashioned way: by sending you a letter in the mail. Scammers can try to create fake versions of these as well — the IRS's own website warns of letters sent with copied IRS letterhead — but there aren't as many reports of these kinds of scams, probably because of the increased effort involved. Still, because a letter from the IRS can't be dismissed out of hand as an obvious fraud the way a phone call can, you should be alert to possible fraud if you receive one. How to protect yourself: A real letter from the IRS will include a notice code explaining exactly what the topic of the letter is. Check it against this list to see if it matches what they're contacting you about. If you're still suspicious, call the tax help line for individuals at 1-800-829-1040.